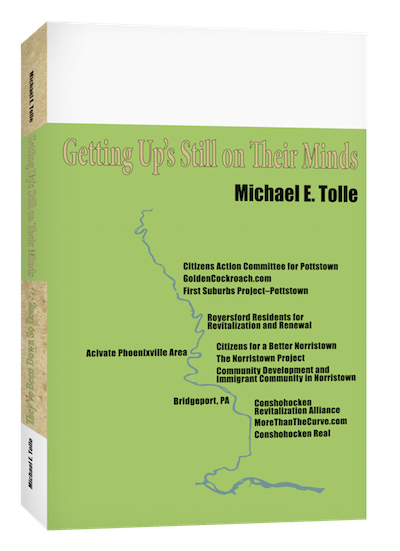 The opening post in this series contained the statement that my positive outlook for the Norristown area of Southeastern Pa. (hereinafter referred to as Norristown/Bridgeport) was based largely on what is happening outside the borough(s). This post outlines the broad situation, in simple terms and with a metaphor. I’ve long ago lost track of how many metaphors have been applied to Norristown, so one more won’t matter a great deal. The subject is property values. For that, think of the central Montgomery County area as a reverse pizza. In this metaphor we are only talking about the bread, and measuring how tastefully (read “profitably”) it rises. Unlike real pizza, the actual flatbread center portion (Norristown/Bridgeport) is small, surrounded by extensive yeasty bread crust. While “flat” is something of an exaggeration, the area’s housing values contrast sharply with the rising values of its surroundings. Yeasty can derive from greatly different circumstances, and I offer the townships of Upper Merion and Worcester as evidence. Two more contrasting townships can hardly be imagined, but the property values in each have risen sharply and show no signs of dropping any time soon. It is this difference in property values drives the revival of old towns that had become flatbread surrounded by the yeasty suburbs. The greater the difference the greater the incentive, all other things being equal. Of course, they are not, and that is where the difficulty begins. Those who live in the central municipal flatbread long to see their own bread rising, and experiment with recipes as they can afford them. That is because in the real world, the baking process is always ongoing, and yeast can be injected at any time. The question is, what mix of yeasty ingredients will work for YOUR town? There are recipes aplenty, but they may—or they may not—work, depending on how relevant they are to the specific reality of a town. I’m only going to focus on one ingredient that has a yeasty result, for two reasons: one, because it comes the closest to being guaranteed, and two, because Norristown, Pa. will experience it. I call it “access to transportation.” This phrasing is deliberately vague, because it means far more than owning an automobile. Pretty much everyone has to do that, usually because you have to be able to get between your home and work that might be far away. Even if you have the opportunity to utilize alternate transportation—and Norristown/Bridgeport do—you will probably need to drive to the parking lots at the transportation stations, as only a very few will be able to walk to them. I’ll return to the subject of alternate transportation in a later post, because Norristown/Bridgeport stand to benefit from a new one. It is still in “the planning stage,” and therefore nothing to bank on. So I focus on those who must drive between home and work. Cars need roads, but not all roads are created equal. In Southeastern Pennsylvania today, the quickest path to urban reinvigoration comes from a nearby exit off at least one limited-access highway, because this greatly extends the potential commuting range for both residents and businesses. Such a location, plus “buildable land” (often available in old industrial towns) are what developers are looking for. 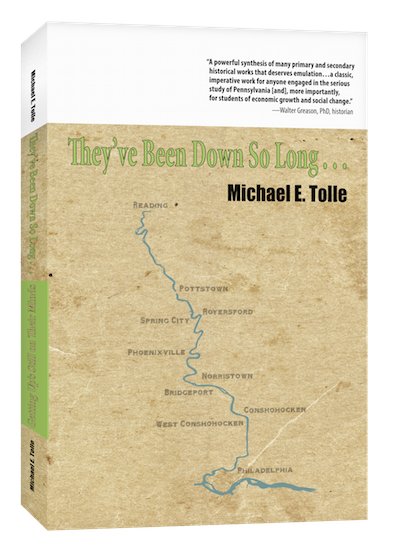 The Conshohockens lie at the intersection of two such highways, and possesses (or at least it used to) buildable land in a scenic location. That is the fundamental reason for all that is happening there. Development grows around connections to limited-access highways, and the Conshohockens provide relevant examples. It then spreads out, in a complex equation that, for prospective buyers/renters involves distance, driving time, quality of location, price, and one’s willingness to sacrifice one or more of those features incrementally to improve others. But as development grows, so does traffic congestion, so the equation is constantly shifting. The central point is that, as the yeasty growth of property values in nearby proximity to an intersection continues, the steadily increasing price difference will inexorably drive development toward flatbread areas. The specific reality—in all directions—will be determined by the shifting conclusion about how far away you will be from work, and that’s as much time as distance, remember. If everything else remained the same, this process currently evolving in the Conshohockens might—emphasis might—eventually benefit Bridgeport. Norristown, probably not. But something else that is scheduled to happen will offer Norristown its best “access to transportation” since the arrival of the Pennsylvania Turnpike in the mid-20th century. Bridgeport stands to benefit also. That will be the subject of a future post in this series. Access to the Pennsylvania Turnpike could be the step required to place Norristown/Bridgeport squarely in the sights of local developers. I more than suspect that several are already well into researching specific properties, market demand and expected timing. The area wants both new businesses and new residents, but expect to see more of the latter than the former. That’s fine, because people who live in an area have a greater interest in it than those who just work there during the day. Of course you want people of a higher economic standing than those who have tended to migrate to the area in recent years. Different demographic groups make different contributions, but most of all you want couples, preferably young, who either have children or are planning a family when the time is right. Such people are the foundation of a reviving community, and often the most willing to take a chance on a neighborhood or town that might still be a little sketchy on the safety/cleanliness scale, but still might be on the verge of turning around. This is where I segue from outside your borders to beyond your control. Once a prospective new family has satisfied itself about their neighborhood’s safety and cleanliness (they are directly related, of course), the quality of the local school district become the next big question. This may be the one advantage that Bridgeport has over Norristown, but their respective situations demonstrate the unfortunate fact that a critical factor in a municipality’s attractiveness—its school system—is also beyond its control. A school district transcends municipal boundaries and operates under entirely different regulations because it has entirely different goals. The district takes a portion of your tax money in what is a cooperative venture, but is not directly accountable to municipal officials for how it is spent. This aggravates all municipalities involved, but for different reasons. The flatbread that is Norristown/Bridgeport takes proportionate blame for the statistical performance of two school districts. Neither is considered an asset by their district neighbors. The irony, of course, is that a better community produces a better school system. If you have a dynamic, growing and economically improving municipality, its residents will send their children better prepared and supported to the school district, which will reap the benefits. Schooling can make things better, and it can make things worse, but both directions are relative, depending on where along the economic scale the community exists. The public school systems—and teachers in particular—are routinely vilified because they cannot undo the neglect and deprivation that their students from lower income families have experienced before they get to school and which continues during those all-important years. There is a direct correlation between student economic circumstances and student achievement, and it is the only one that can be substantiated with research. Not race, not ethnicity, not religion, not anything else. Once again, it’s all about The Benjamins. This is the last I will have to say about such an important subject. My focus is on municipalities. Please do not consider that by not discussing the subject I am shunting it aside or down anyone’s priority list. I most certainly do not, and no one should. 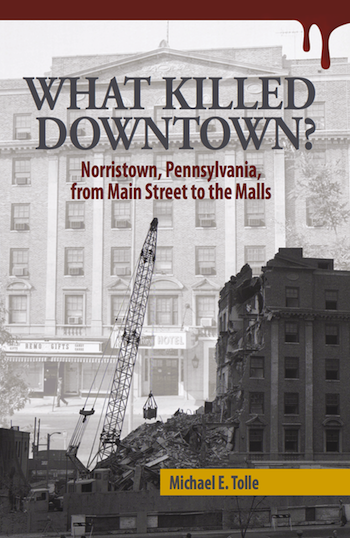 Next time: another potentially huge issue outside Norristown’s control, and a history lesson on why it is important.